As the Y strives to bring Healthy Living to our community, we work hard every day to offer programming and facilities that help people live a healtheir lifestyle. We complete this by providing a caring atmosphere that provides our members and community with support, setting of realistic goals, and a chance to meet new people on the same journey. 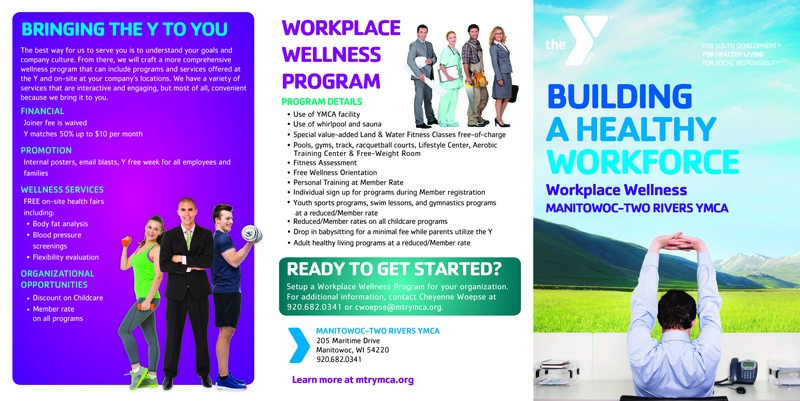 Contact Cheyenne at 920.682.0341 or via email cwoepse@mtrymca.org for more details today! Create small groups of between 3-6 youth/adults to train together with a YMCA Certified Personal Trainer. Develop healthy habits with friends or family. This service is for all ages and open to Y members and non-members. 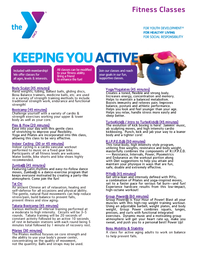 The Y offers many different classes to keep you coming back for more. 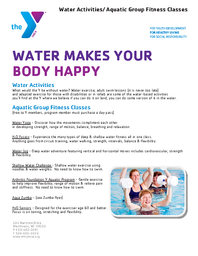 From cycling, to pool classes, to land classes, the Y has something for everyone! Check the schedules below, by clicking on the image to enlarge. Class descriptions are also located below. "The Captain" Morgan Sickinger Professional MMA orientated group class. 2 hour class format broken into one hour of stand up and one hour of mat/ground grappling tactics. Students may attend either individual class or both for same price. Class is on Sundays from 3:00-5:00 p.m.
Everyone needs to try something new and exciting. It is what keeps us young and alive! Mix it up! Functional and metabolic small group training utilizing medicine balls, kettlebells and battle ropes. Maximize your calorie-burning potential. 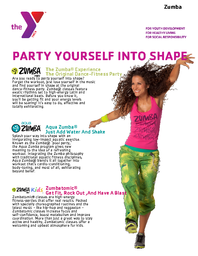 Class is on Fridays from 5:30-6:30 p.m. Strengthen your mind and soul, as well as your body. Based on 8 forms of ancient Tai Chi movements, Moving for Better Balance is great to help older adults improve their balance, prevent falls and increase confidence in performing everyday activities. 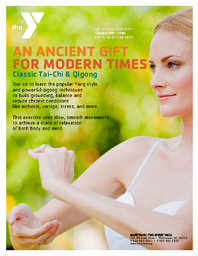 Lead by a Tai Chi trained and certified instructor, participants will learn an array of exercises to feel stronger, gain better balance, become more flexible and feel more confident. Class is on Tuesdays and Thursdays from 11:00-11:45 a.m. FREE to all! A Registered Dietitian (RD) will partner with you to help improve your eating habits. If your goal is to feel healthier, control your weight, enhance your sports performance or improve other nutrition problems, a Dietitian will guide and motivate you to find a way of eating you can stick with for the long haul. Non-members may join our Weekend Warrior Fitness program. Only eligible for use Friday, Saturday, Sunday. The fee for this service is $55 per month. Amazing Race Spring Challenge! More information coming this April! Stay tuned for more details! Get “certified” for a Youth Fitness Pass so that you can use the Lifestyle Center. Learn proper use of cardio and select circuit equipment. Child will earn a wristband upon completion which must be worn when in Lifestyle Center. A YMCA Personal Trainer will work with the child to evaluate the use of the equipment. Child must “pass” an assessment to earn their Youth Fitness Pass. Contact Kari Backhaus at 920.482.1565 to schedule a training today. As workplace wellness partners, staff receive discounts on their memberships and programs. Please contact us if you have questions about your employer’s discount or if you are an employer who would like to further a culture of wellness within your staff team.